Listing your home for sale can be a stressful enough experience without worrying about unexpected breakdowns or issues arising during the sales process. 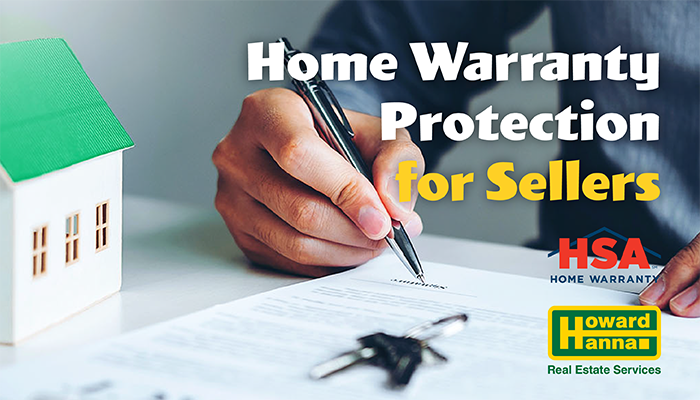 Our partners at HSA Home Warranty want to help you protect the equity investment in your home during the listing period, and have as much peace of mind during the transaction as possible. One valuable way to protect your home is by including a home warranty. An HSA Home Warranty is a service contract that can help protect your budget from costly surprise repairs and replacements of your home’s covered, major components of mechanical systems and appliances. Adding a warranty during the listing period may help reduce your “out-of-pocket” expenses from covered breakdowns, not to mention that it’s a selling point for buyers that may help sell your home faster. What are the benefits of a home warranty for sellers? Coverage while your home is on the market. * Should a covered item break down or issues arise during the home inspection, HSA Home Warranty will be there to help. This allows you to focus on top priorities like the sale of your home. Listing coverage is for six months, but may be extended for an additional six months. A powerful marketing tool. Buyers may have more confidence when a home includes a warranty. An HSA Home Warranty can give you an edge and help you stand out from other sellers. This is accomplished by letting prospective buyers know their home and budget are protected from unexpected repair and replacement costs of covered appliances and systems. Help prevent post-sale disputes. Buyers will turn to HSA should a covered appliance or system require service after the sale of your home. To help avoid the lost time and inconvenience of such unexpected service needs, consider an HSA Home Warranty. Should a covered breakdown happen while your home is on the market, HSA can help reduce the time and concern of finding a reliable service professional. The knowledgeable, friendly staff at HSA will connect you with a qualified service professional so you can focus on top priorities like selling your home. * Listing coverage may be extended up to 12 months. Limitations and exclusions apply. Please see contract for details.